Looking to buy a rv? RVParkStore.com has 77 rvs near Gastonia. 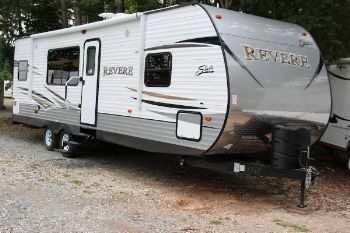 2015 Shasta Revere 29RK. Great couples unit with a large rear kitchen that has a ton of storage.